"If many Americans imagine slavery essentially as a system in which black men toiled on cotton plantations, Miles upends that stereotype several times over." 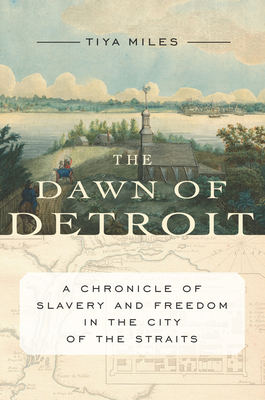 " Miles] has compiled documentation that does for Detroit what the Works Progress Administration and the Federal Writers' Project slave narratives did for other regions, primarily the South." " Tiya Miles] is among the best when it comes to blending artful storytelling with an unwavering sense of social justice." "A necessary work of powerful, probing scholarship." "A book likely to stand at the head of further research into the problem of Native and African-American slavery in the north country." In this richly researched and eye-opening book, Miles has pieced together the experience of the unfree--both native and African American--in the frontier outpost of Detroit, a place wildly remote yet at the center of national and international conflict. Skillfully assembling fragments of a distant historical record, Miles introduces new historical figures and unearths struggles that remained hidden from view until now. The result is fascinating history, little explored and eloquently told, of the limits of freedom in early America, one that adds new layers of complexity to the story of a place that exerts a strong fascination in the media and among public intellectuals, artists, and activists. Tiya Miles is the recipient of a 2011 MacArthur Foundation "genius grant" and is a professor at the University of Michigan in the departments of American culture, Afro-American and African studies, history, women's studies, and in the Native American Studies Program. She lives in Ann Arbor.